The basic training that is provided to our dental technicians was developed by the World Health Organization and is called the Basic Package of Oral Care. It’s just a few weeks long and focuses, logically, on teeth. Trainees learn how to place atraumatic glass ionomer fillings without electrical instruments, and to provide certain types of extraction. 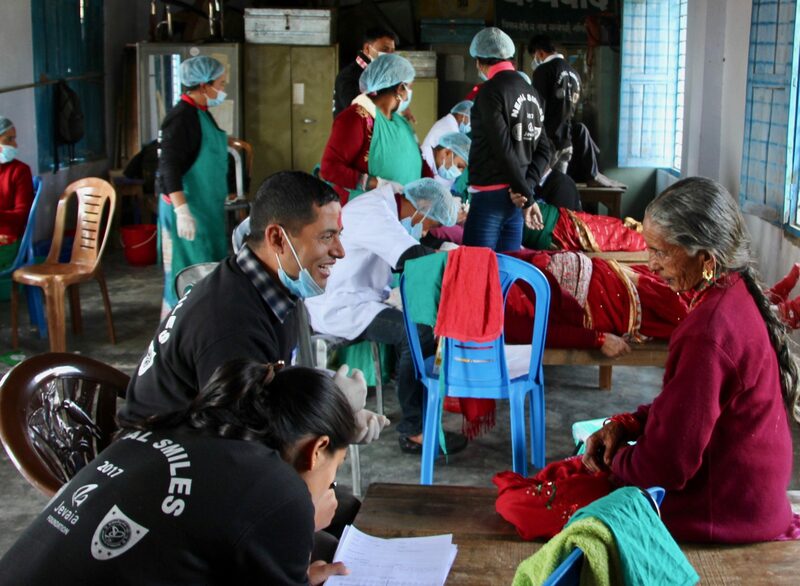 Over the years we have done a lot of innovation to take the Basic Package of Oral Care and contextualize it in a rural clinic, developing our own infection control and clinic-setup protocols. Last year when Dr. Bethy and Dr. Keri came for the first time, we added to the treatment package fluoride varnish and an arrest-carries technique with silver diamine fluoride (which, having just been approved by the FDA., is up-and-coming as a new treatment in the U.S. but has been in circulation in developing countries for a long time). With this range of interventions, our dental technicians can address a wide array of conditions in the remote areas where they work. Beginning last spring with Dr. Keri, we started looking beyond teeth at treatment of the person. This means addressing not only a problematic tooth, but the disease process that is happening as a result of infection, lifestyle, and other factors. It requires looking at the entire mouth, including early-stage decay that might not yet be bothering someone, and setting up a plan to restore the health of the individual through a combination of comprehensive treatments and lifestyle adjustments. This way of practicing the Basic Package of Oral Care represents an enormous leap forward for our dental technicians and for the care delivery model we are trying to establish. Over this last week, Dr. Bethy’s training took the skill of treatment planning to a whole new level. 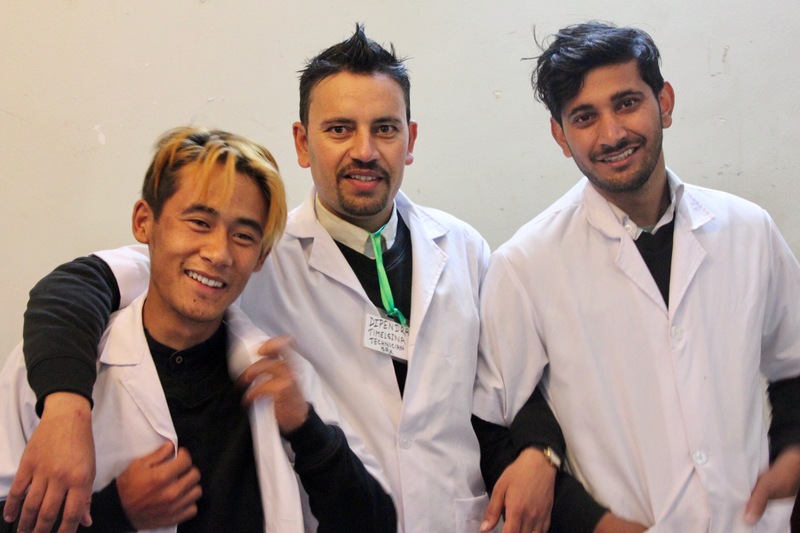 The technicians and clinic assistants got five and a half days of theory and practice in which they examined case studies, developed a treatment planning form, and explored how to make treatment decisions with a scared or resistant patient. Continuing with Keri’s lessons from last summer, the training examined ways to respectfully and sensitively approach children, who are often terrified to have someone examine their mouths, much less conduct treatments. Our goal with all of this is to move out of crisis management and in to disease management in a way that looks at the entire person – yes, even for the rural poor, in regions with no running water or electricity. I really can’t understate how progressive this approach is in an environment that trends at every institutional level toward delivering short-term, emergency relief for millions of people living in rural poverty. Following this winter training, technicians will now complete treatment planning forms for each patient, allowing them prioritize and schedule interventions over a series of visits. In addition, working with Dr. Karen’s group has infused our program with a new focus on nutrition and lifestyle contributions to oral disease, so our children’s programs are going to start including junk-food free school zones and collaboration with shopkeepers to sell healthy snacks. This is all still very much a work in progress, but when I came to technician training on Saturday, I filled with pride. The fact that our technicians are grappling with these questions is itself innovative. Back before this project even had a name, it was about elevating human dignity through access, consistency, and respect. That’s why it didn’t matter that none of the founders were expert medical practitioners. 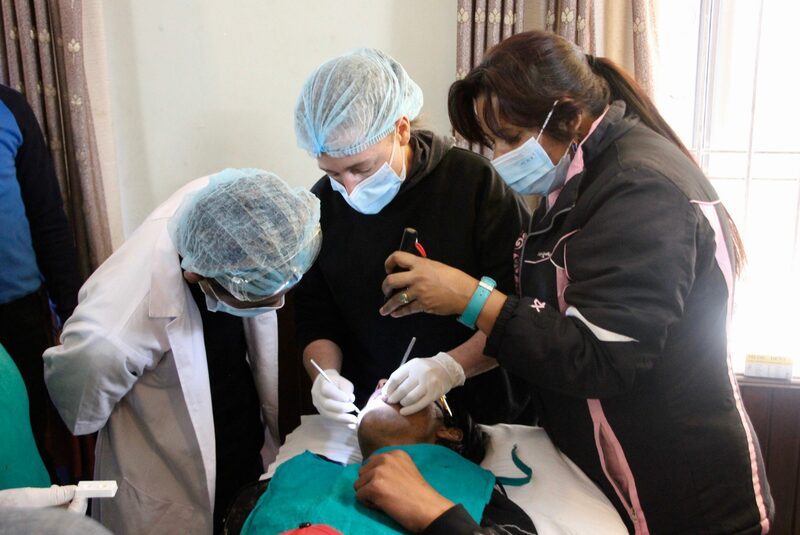 That we are having five-day trainings with community dentistry experts on how to factor in the amount of time it takes someone to get to the clinic, or their age or belief system or level of fear, is a remarkable level of sophistication. And yet, I firmly believe that this can and should be a system-wide standard. As much as this is a set of clinical skills, it’s fundamentally a mindset. 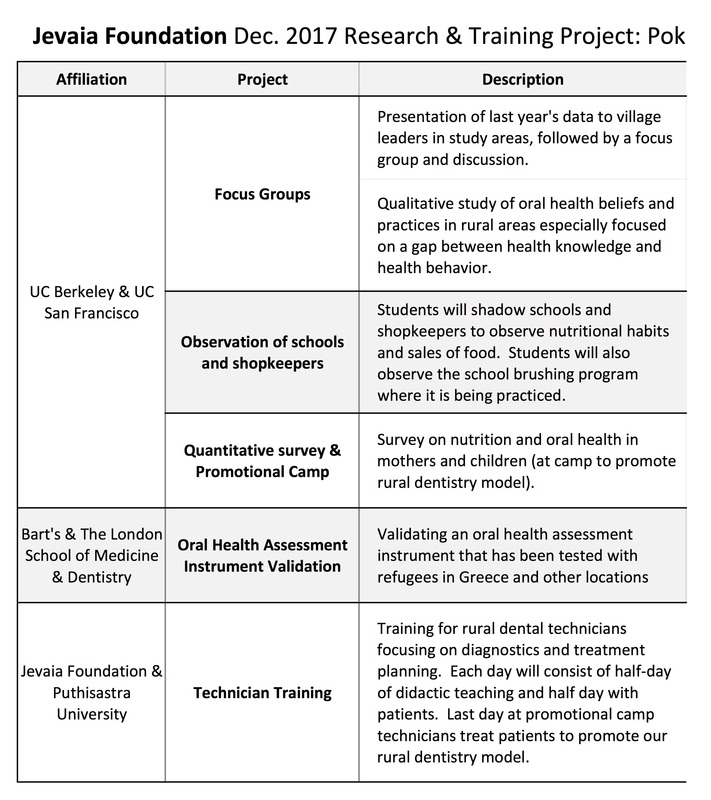 After getting our first study with UCSF-Berkeley students under our belt last winter, this year I had the chance to work more closely with the lead student, Tanya, to help design a qualitative research project I’ve been wishing someone would do for a long time: conduct focus groups in rural areas to explore people’s lived experiences of their health care. 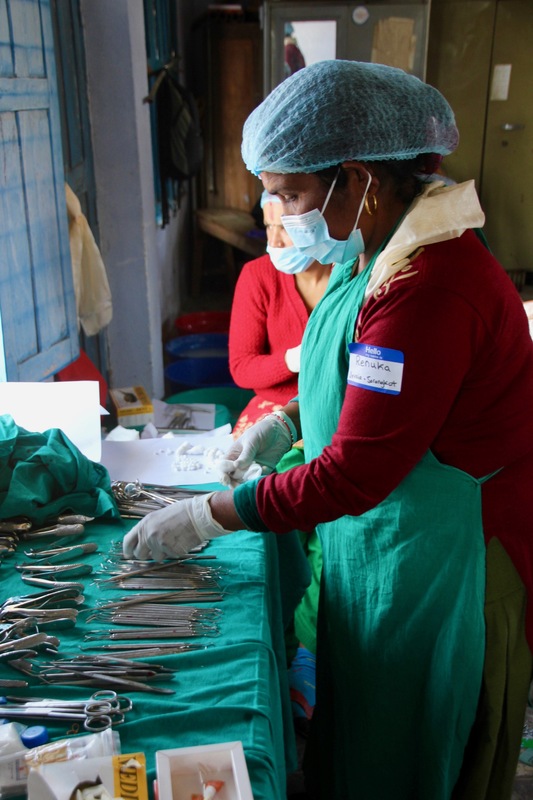 The reason I was hoping that Tanya would use her fellowship for qualitative research is that there seems to be a lack of rigorous investigation of health practices from the perspective of populations like those we work with in Nepal. In a talk I gave at UCSF last spring, I suggested that research agendas tend to be set by institutions that are far removed from marginalized communities, even when those communities are the target of the research (a phenomenon that is, in fact, its own area of critical analysis in human rights literature – no points to me for coming up with that). 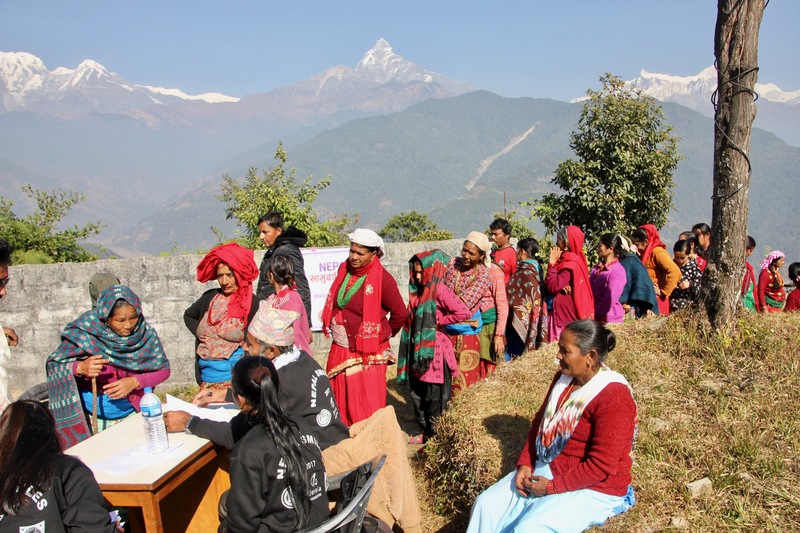 The result is that too often, resources are directed at research that serves the researchers instead of the development of better health care structures in places like Nepal. Worse still, whether or not we realize it, academics sitting in California or Ohio or Connecticut designing research questions about people in Rupakot, Nepal, are inevitably influenced by implicit biases about rural, non-western, non-white poor people. 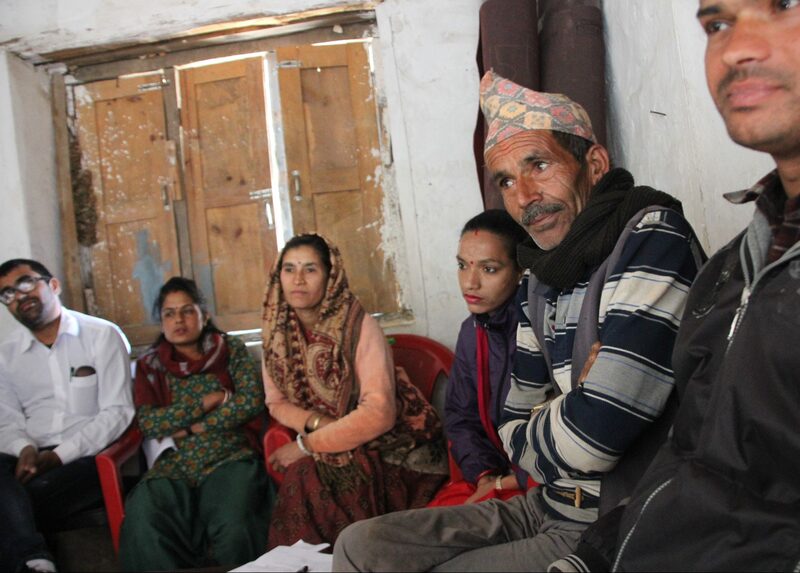 The result is an overage of studies on things like shamanism and use of medicinal chewing branches, and a lack of documentation on what drives people to practice inadequate oral hygiene even though, in point of fact, modern hygiene products like those in your own bathroom are widely available in rural Nepal and people already know how they should be used. This bias in research then translates to poorly conceived interventions such as distribution of free dental care products and lessons on personal hygiene, even though that’s not addressing the causes of disease. From a human rights standpoint, this result is demeaning. And the overall dynamic preserves research institutions from the voices of marginalized communities and a responsibility to legitimize non-academic perspectives. This year Tanya and I worked together to design focus group questions that would lead to conversation among rural residents about their actual beliefs and practices around health care. In Jevaia we’ve seen through years of trial and error that understanding people’s perceptions of their resources is as important as what those resources are. 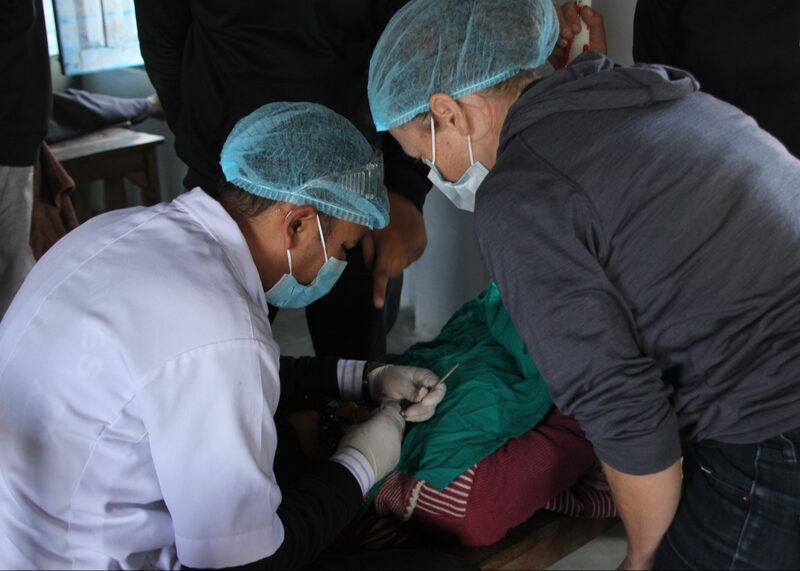 The focus groups will look at how much residents feel oral disease matters and why, and try to break down the choices that villagers make about both daily hygiene and seeking of treatment services. 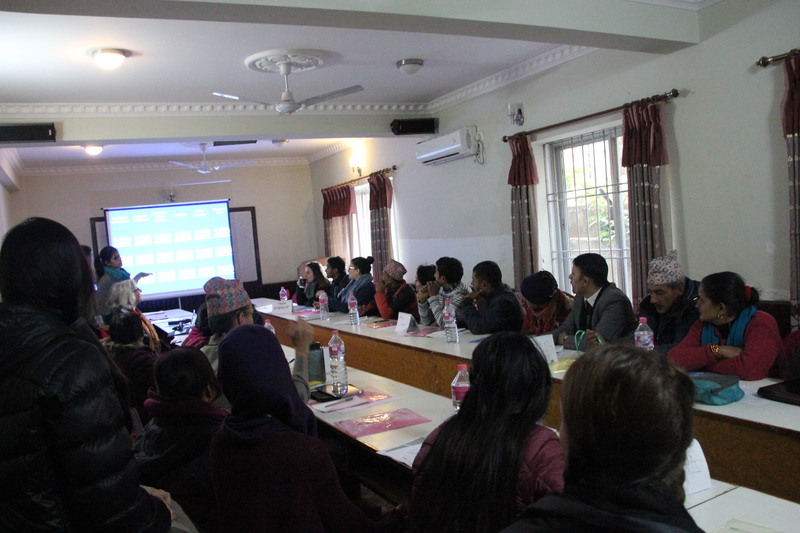 Knowing how little up-to-date research of this kind exists in Nepal, I am really hopeful that Tanya’s study will provide a foundation for more relevant, application-oriented quantitative research in the future. So here you have it – our focus groups! 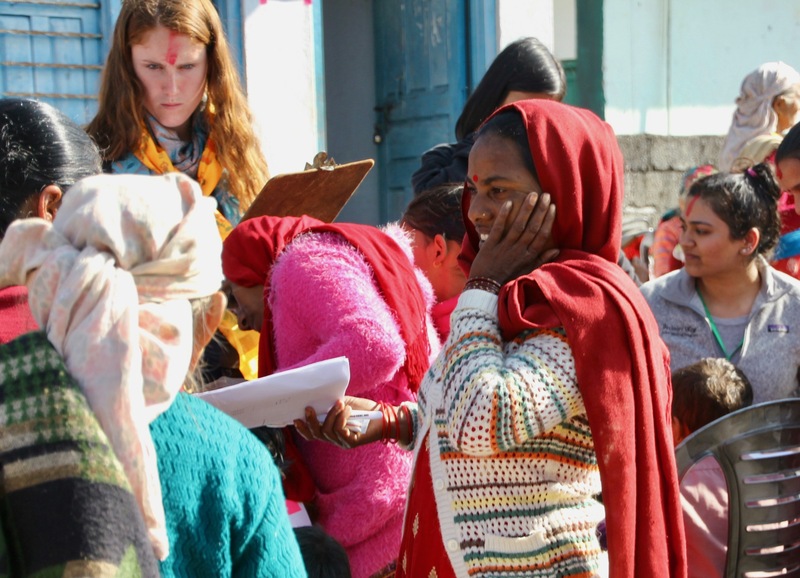 The first was actually a presentation of last year’s study to the villages where last year’s students collected the surveys, in Puranchaur and Hanspaur. Then we had a lengthy and very informative discussion with leaders and teachers from those areas about the meaning of the study results. The second and third focus groups were in two areas where our project has completed the two year seed cycle and the clinics and school programs are continuing in the handover phase. 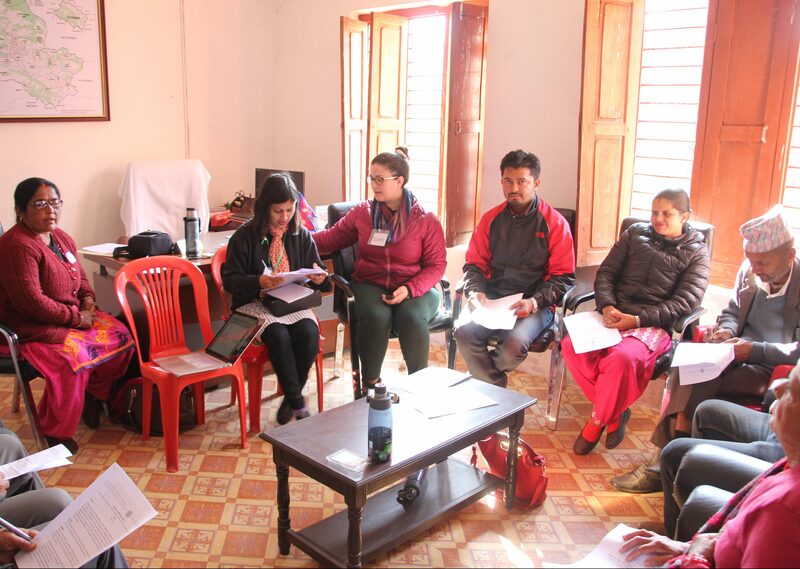 We did two parallel focus groups in each location, and our Jevaia field staff took roles as facilitators and note takers, which is was a great professional development experience for them (and me!). In each of these, I took a job as an official note-taker, which gave me an awesome opportunity to listen in closely to what participants had to say. I learned that there is a very high level of awareness that sweets and junk food cause oral disease, and also that parents largely feel helpless to control their children’s junk food intake. I heard some things I expected, such as that basically everyone already knows you are supposed to clean your mouth twice daily, and that products to do this are available and affordable, but that for some reason, people don’t do it anyway. Some of the groups began to get in to nuanced discussions of why that is which were totally fascinating. Important for us, many groups talked about treatment-seeking behavior. There was categorical agreement that this only happens when there is pain that is impacting someone’s ability to function. People felt that traveling to a city was a significant burden and that proximity of services was a major determinant of what kind of treatment they would seek. There was a widespread awareness that dentistry is a vaguely dangerous and poorly regulated practice, and that you can never be certain that a provider is qualified. A few of the groups I was in veered in to more practical brainstorming once the official “focus group” discussion was over. These conversations ranged from funding their local clinics to requesting clarification around beliefs raised in the focus group (for example, dangers of blindness from dental care). 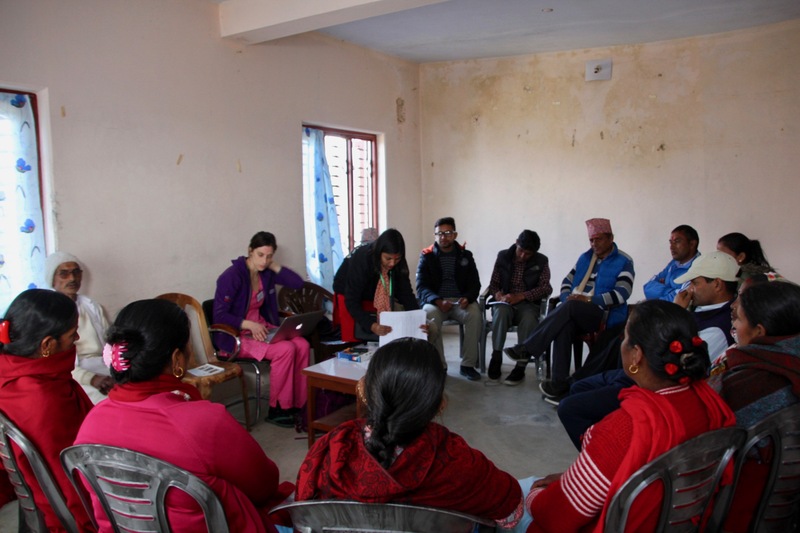 One group even asked for a proper brushing lesson, so our Sarangkot Clinic Assistant Renuka, who was acting as a note taker, got up and gave an excellent demonstration right there in the focus group! All around, this was a GREAT learning experience for all of us, and I hope it will produce some pretty solid qualitative data on health beliefs and practices in these areas. Super proud of our whole team, especially Muna, Gaurab and Rajendra in the office, who organized an insanely complex tapestry of logistics to to make this happen. TADA! The Berkeley-UCSF-UP gang has arrived, and today we had our all-team orientation to the upcoming week. Look how many of us there are!! I can’t tell you how much I love this. Some of the field staff joining us this week are from villages where our program has been closed down for a year or two and is soon to be restarting, and I haven’t seen them in a while. Seeing them walk through the door with smiles and hugs was glorious. 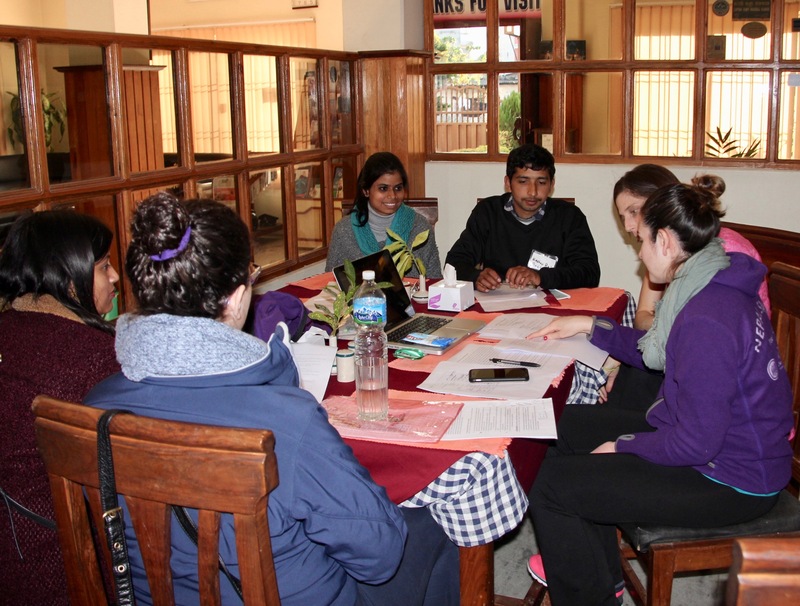 There is nothing like watching our team leaders and technicians and clinic assistants trickling in to a hotel in Lakeside from three districts, and then sitting interspersed with international students as the expert parties on rural oral health promotion in Nepal. Just the fact of seeing all these people in one place makes my heart soar. At our orientation, Dr. Karen shared the results of last year’s study, and I presented our program model to the visiting students. We played games to get to know each other and went over the plan for the week. In the afternoon, we divided in to groups according to project stream, and the technicians began their first half-day of clinical training with Dr. Bethy. And, the shirts fit. PHEW! 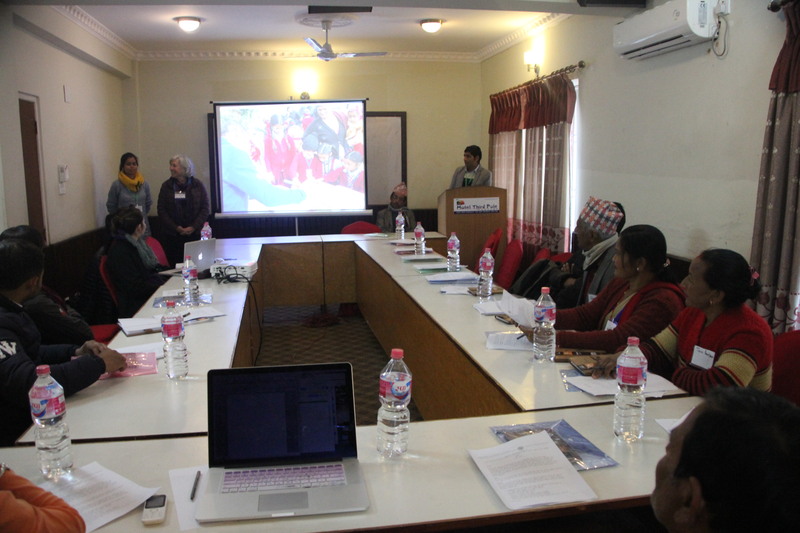 I’ve just arrived in Nepal for our second research and training collaboration with students and faculty from Berkeley, UCSF and the University of Puthisastra in Cambodia. Last year, this was a blast, brought me amazing new friends, and created my first chances to present our work internationally in California, India and Cambodia. 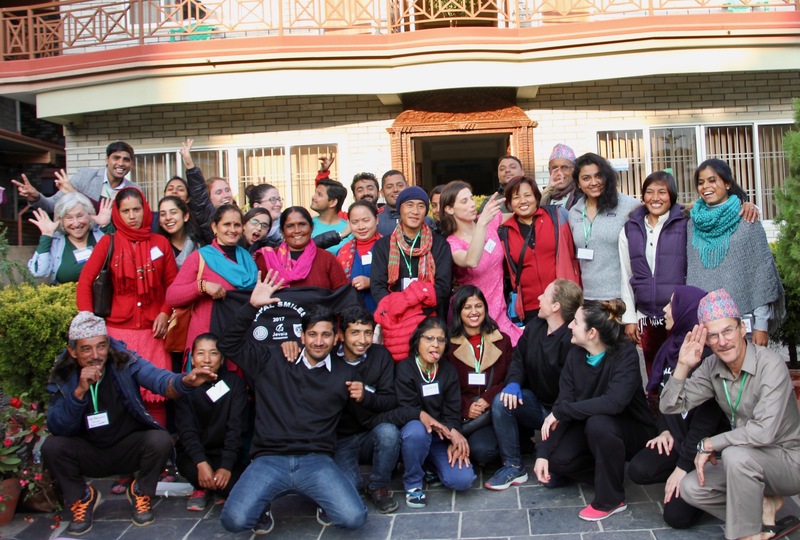 This year we have a big group of sixteen people descending in to our Pokhara valley to five overlapping projects over the course of a week. Getting ready for this research collaboration is, and was last year, somewhat like putting on a Broadway show. In the office we currently have just three full time staff, and they are responsible for getting all of the necessary government permissions in place, mobilizing unofficial social leaders whose support we need in rural areas, recruiting hundreds of participants for focus groups and surveys, securing transportation to remote villages (the entire group fills two buses), organizing food in rural areas where we can only eat at people’s homes, and not least of all, coordinating with our nearly 20 field staff to make sure everyone shows up from their respective villages for a week. On top of that, we need to design and print 40 logoed shirts, get hundreds of survey printouts, and translate multiple documents between languages. 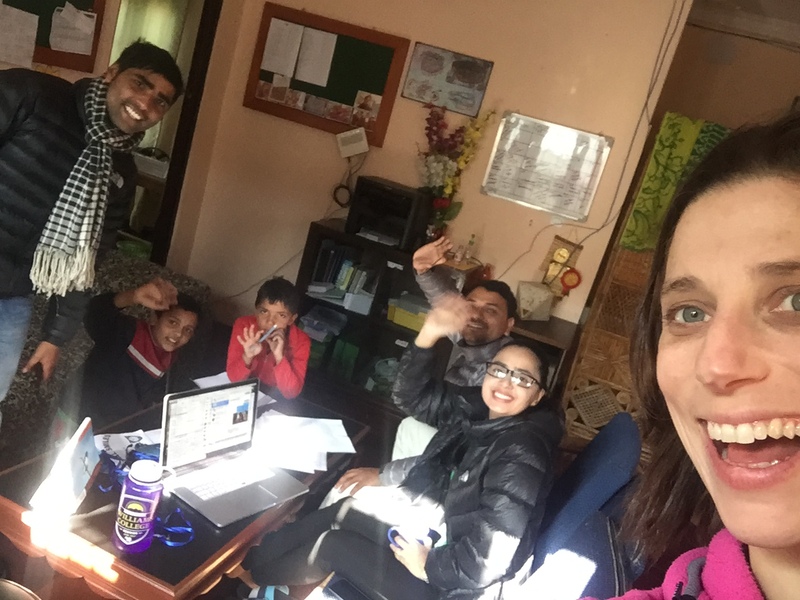 Our amazing office team of Muna, Gaurab and Rajendra manage to steamroll through all of this while keeping our regular work afloat across ten villages. 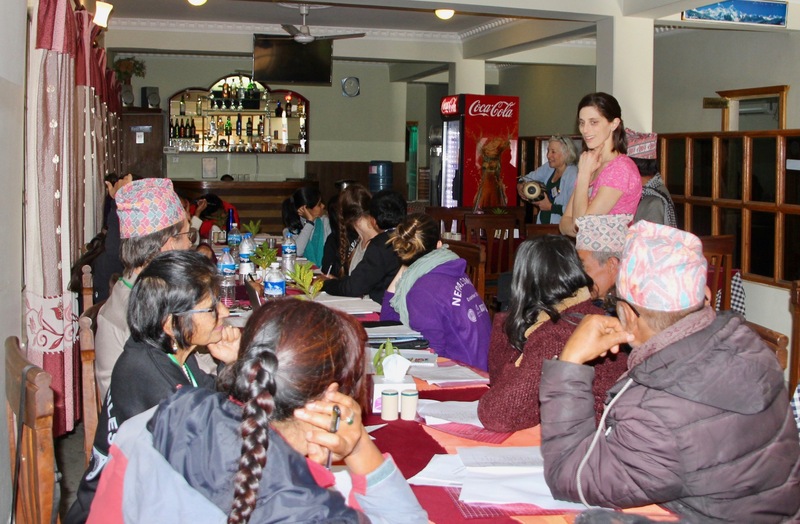 My role is to keep the different project streams sorted and to bridge between our foreign visitors and the reality of the ground situation in Nepal. I have an excel file featuring no less than ten tabs, tracking everything from hotel rooms to project leaders and bios to budgets. This is because, let’s say we need to buy 40 printed sweatshirts. That seems simple (nope), except that we have people ranging in size from Soba, our Team Leader in Sindure who is about the volume of a pencil holder, to me at 5’8” and a dozen foreign students of various heights and widths. So figuring out what sizes to order and then finding someone who can give us such a large quantity of them and print them on time is an entire spreadsheet. Everything gets more hectic when you are multiplying gaps in planning by 40, dropping them in the gap between two languages, and adding in the overall entropy of the Nepal environment. Do you know what happens when you show up with three dozen people for a project at an empty community building at the top of a hill and you didn’t think to plan ahead how many chairs you might need there? Or, let’s just say you don’t have enough pens? Chaos, my friends. Chaos happens. I will write about the different project streams of this year’s collaborations in upcoming posts. But they include focus groups, observations of schools and shopkeepers, a survey on maternal and child oral health and nutrition, an oral health status survey being conducted by a British student who has also joined us, and last but not least, an ENTIRE WEEK OF TECHNICIAN TRAINING which I am so excited about I can hardly handle it. For now, here we are just after I arrived in the office yesterday. I sat down to debrief with the team and doled out Amercian candy and Race to the Rock tshirts. Within a short time, my two favorite creatures came busting through the door and started stuffing all of the office candy in to both their faces and their pockets. Before the performance begins this week, it was lovely to land here in our red-carpeted office and find this cheerful team, to listen and observe as they jammed about how hard they’ve worked to support each other with this complex preparation, and to see the pride they are taking in seeing things come together. It is a wonderful feeling to see our tiny but mighty team take on a cohesive identity as host to visitors, and I especially enjoyed the trill that these three were getting out of how much more they know about doing this than they did last year. We are all on a steep and exciting learning curve as we introduce the world to the efforts we’ve been making here over these years. Ok ok ok ok…bring it on!